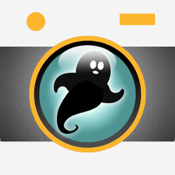 Freak out your friends with Ghost Camera - Make Paranormal Apparition Photos with Scary Photo Stickers! All you have to do is take a new picture or choose one from your library. Then add one of the ghostly vintage style images to your photo! Adding a ghost effect takes seconds and you can freak out your friends soon after you take a picture. It will send chills down their spine! Once you Insert one of the vintage style ghost images, you’ll get an instant reaction from your unsuspecting victim! Then share your new found paranormal photography skills to the world. Thought the movie Poltergeist was scary? Wait till you show your friends the spine tingling photos captured by your phone. They’ll never want to be alone again! When you're finished being a ghost hunter, save your photo creations to your camera roll, email or share them with your friends on Facebook or Twitter for additional screams.